For Vessel Owners and Charterers who have their vessels calling on any Indian Port, IGL offers a comprehensive menu of vessel handling services. From handling heavy shipment to chartering shipment, from consultancy to broking, we cover all the processes related to vessel handling. 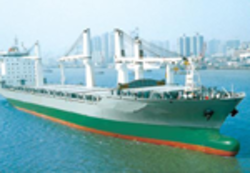 Apart from Feeder vessel handling, Relay shipping also handled Tanker & break bulk vessel. - M/s. M Dinshaw & Co. Pvt. Ltd.
For Vessel Owners and Charterers who have their vessels calling on any Indian Port, Shreenathji Worldwide Pvt. Ltd. offers a comprehensive menu of vessel handling services. From handling heavy shipment to chartering shipment, from consultancy to broking, we cover all the processes related to vessel handling.